Friday: wet cloudy day, mostly light winds for us, recent model runs now bringing in slightly less total rainfall accumulation tomorrow for Reigate.. around 10mm likely, more if showers perk up pm. Rain arrives early hours Fri am with persistent frontal rain as occlusion wraps almost full circle around the SE, later in the day more convective showers are likely. All this drifts slowly off to the S later pm. mix of rain types.. but will you care? Fri-Sat some cloud and rain may persist late overnight, any showers turning briefly wintry over hills as temps cool off, gradually drying up through to early Sat am. but may stall over SE Sun? 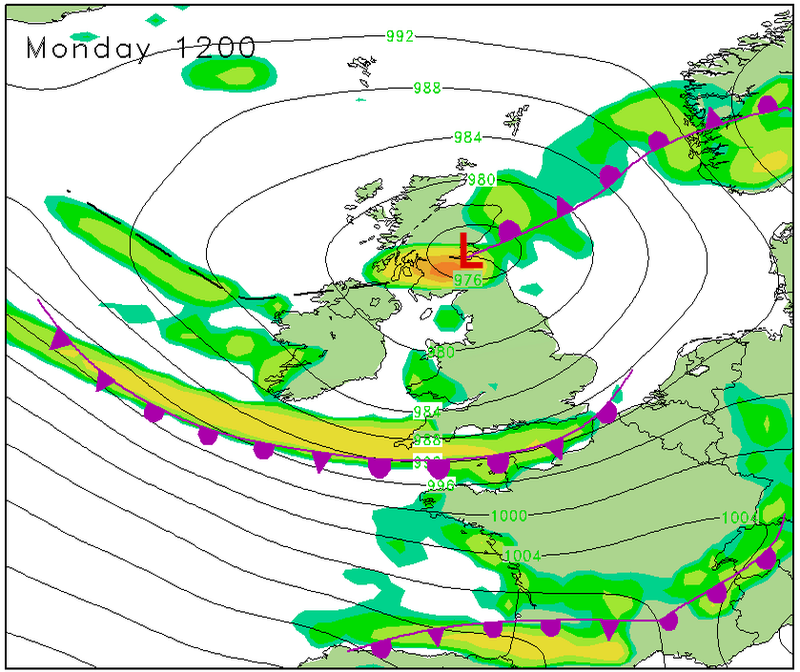 Yet another LOW pressure system, this one larger, is set to move in to UK quickly overnight Sun-Mon and bring more persistent and widespread rain overnight Sun-Mon and showers Monday. The longer term picture is rising pressure towards the end of next week so that next weekend could be much more spring-like and pleasant. Check back for details.